Concerns are growing for a 37-year-olld man who was last seen on Tuesday leaving his Denny home. Police in Forth Valley are appealing for the public’s help to trace John Scott. He was last seen in the Hayfield Terrace area at around 6.30am on November 20 after leaving Denny to travel to Glasgow by car, however, and has not returned home since this time. John has access to a grey Hyundai i20 car with the registration plate SH11 FWX. He has links to Glasgow city centre and the Springburn and Milton areas. He is described as white, around 5ft 11ins tall, and of slim build. He has short fair coloured hair, stubble, and when last seen was wearing denim jeans, a grey hoodie and a baseball cap. 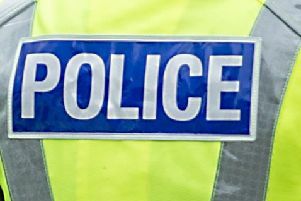 Inspector John McKenna from Falkirk Police Station said: “This is unusual behaviour for John and we are growing increasingly concerned for his welfare. “I’d ask anyone who may have seen, or spoken to John, since Tuesday, November 20 to get in touch. Those with information can contact Police Scotland via 101, quoting incident number 3878 of 21 November.